springport speedway will be open once again for the 2014 racing season, under the ownership of jeff and pam parrish. they have successfuly ran the last 2 seasons as well. many improvements to the track and grounds, car counts slowly building up, and 21 and under are FREE COME CHECK IT OUT IN 2014. Calhoun County Speedway changed names many years ago, and is once again Springport Motor Speedway. For the 2011 season the promoters will be Kevin Koscher of M-40 Speedway, and Tim Phillips of The Great Lakes Mini Cups. 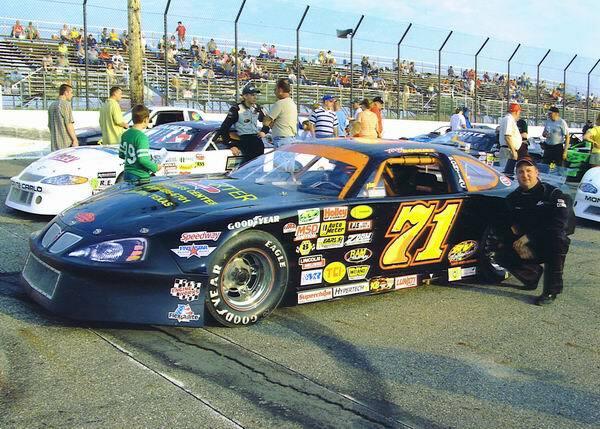 This season will also mark the return of the modifieds, and super late models to SMS. Though there will be some changes, most are for the better, and this season is looking to return the track to it's premier status. I work on the push truck two years ago and really liked it was wondering if you were looking for help next race season on the push truck. Thanks Kyle. The track will be open in 2010Promoted by Maurice Randall who promoted the track in 2007It will be known as Springport Motor Speedway. go to www. springportmotorspeedway. com for al the details. Here is a link with some history of Springport (Calhoun) Speedway. http://en. wikipedia. 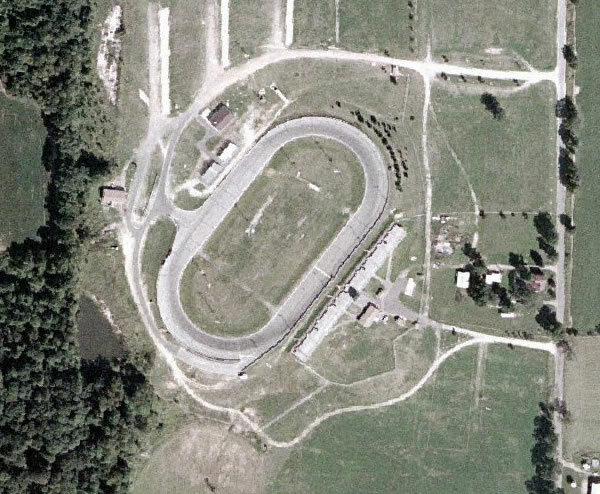 org/wiki/Springport_Motor_Speedway. The ownership of the track has fallen back to the group that owned it previously, the management of the Spartan Speedway. The name has been changed back to Springport Motor Speedway, and the http://www. springportmotorspeedway. com website is back up, though only a classified ad. The name has been changed to Mid-Michigan Speedway. It was changed from Calhoun County Speedway to Springport Motor Speedway in 2006. It carried that name until November 2008 when Jerry Rabbers changed it to Mid-Michigan Speedway. The track is still open and is a beautiful setting and facility. However it is struggling to support itself. Low car and fan counts have plagued this season. 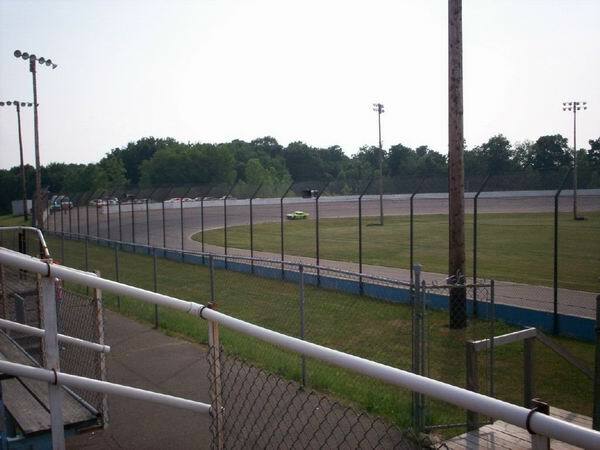 midmichiganspeedway. com is the new name. Youtube has some cool video of this place, if you look for springsport speedway. Ya know I was there once, but from the photo the cars on the track make the place look huge. Nice track, seems to have an outside groove down the stretches, that puts the cars right up against the wall. But it only seemed to be one groove, Maybe if enough cars show up and start wearing the place in that will change. Nice place anyway. On Sept 27th, Springport (Calhoun) Speedway is having an invitational race. ALL CLASSES. racing starts at 7:00pm. check out there website for details, but this sounds very interesting, not your normal heat/feature races. Turn this place into a high banked half mile. Race track Operator should take a look at this place. It appears that it will be open in 2007. www. springportmotorspeedway. com. Michigan Ideal Speedway is located north of Marshall. I never saw it, but the track was known for its well landscaped grounds. Perry Younce was killed in a midget race at Ideal in 1996. He was a rising star in open-wheel racing. 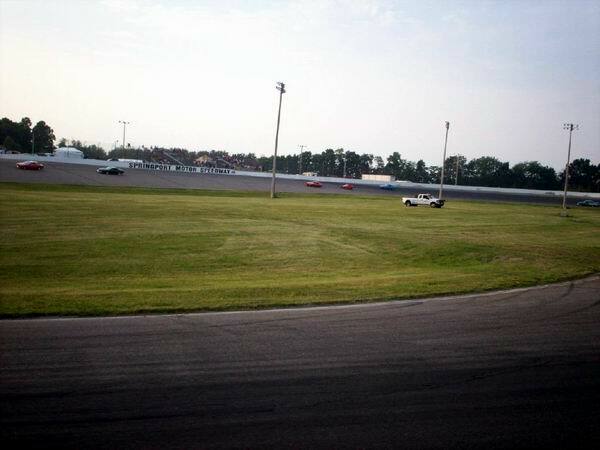 That is too bad a friend of mine said he was at the speedway in Flint last week and there wasnt much of a crowd there. It looks like all the tracks are going down the tube. This track closed for the season on August 5th, 2006. Apparently there wasnt enough fans showing up. No idea if it will reopen next year, as its for sale. Its name has been Springport Motor Speedway for a least 2-3 years I believe. The website is springportmotorspeedway. Went to this place saturday night. Very friendly people. Seemed to be a pretty much a one groove track, but passing was possible. Nicely run. Great fields of Modifieds, very nice feel to the place. 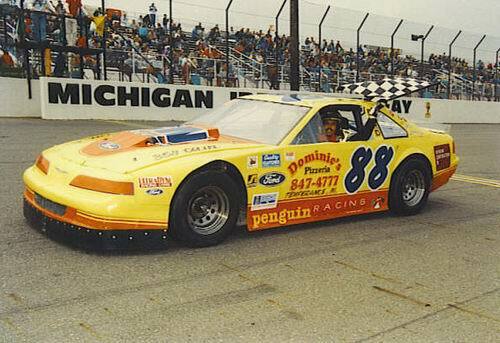 The track was originally opened as Michigan Ideal Speedway in the fall of 1989. It was often refered to as little MIS. When it was sold, the name was changed to Springport Speedway. When Paul Zimmerman and Jim Leasure bought the track, they changed the name to Calhoun County Speedway. They have now changed the name to Springport Motor Speedway. For what ever reason, the track has been plagued by poor attendance over the years. The track was built by Ralph Densmore who was a former racer back in the 50s at the old Jackson Motor Speedway. He owned a local oil company. He built the track because he felt the was a huge void in the Jackson area for auto racing ever since the Jackson Motor Speedway had closed back in the 70s. He couldnt buy Jackson and reopen it, so he built a new track in Springport. The track originally had much higher banks but they kept washing out with the rains and he finally settled on the present 18 degree turns and back straight. The front straight has a banking of 8 degrees. He also built a pulling pad in the infeild with the hopes of hosting tractor pulls but after 1 or 2 events, he gave up on that idea. Was this track in fact called Michigan Ideal at one point? I heard it was just built by a farmer who wanted a track. 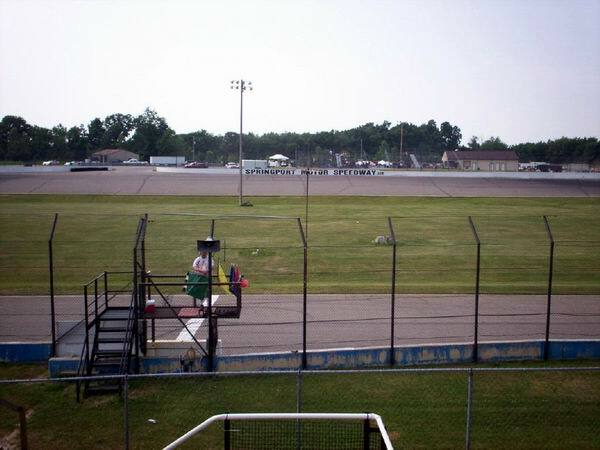 For the 2006 Season, they are changing the name of the track to the Springport Motor Speedway. 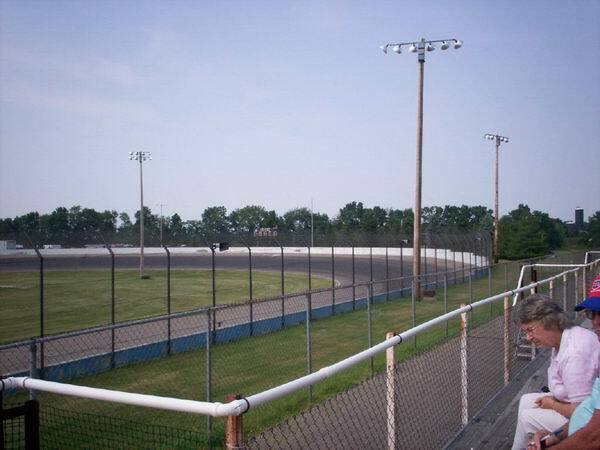 As of May 8 2004 the Calhoun County (formerly Springport) Speedway re-opened under the management of Paul Zimmerman and Jim Leasure of the Spartan Speedway. The Speedway runs on Saturday everyweek and one Sunday show a month. Springport Township and Calhoun County Speedway are still in negotiations regarding the permits required to begin racing at the facility. As a result, the opening date for racing cannot be set. Please check back on this website for any updates.